Uber is proud to be the official rideshare partner of KeyBank Center, home of the Buffalo Sabres. 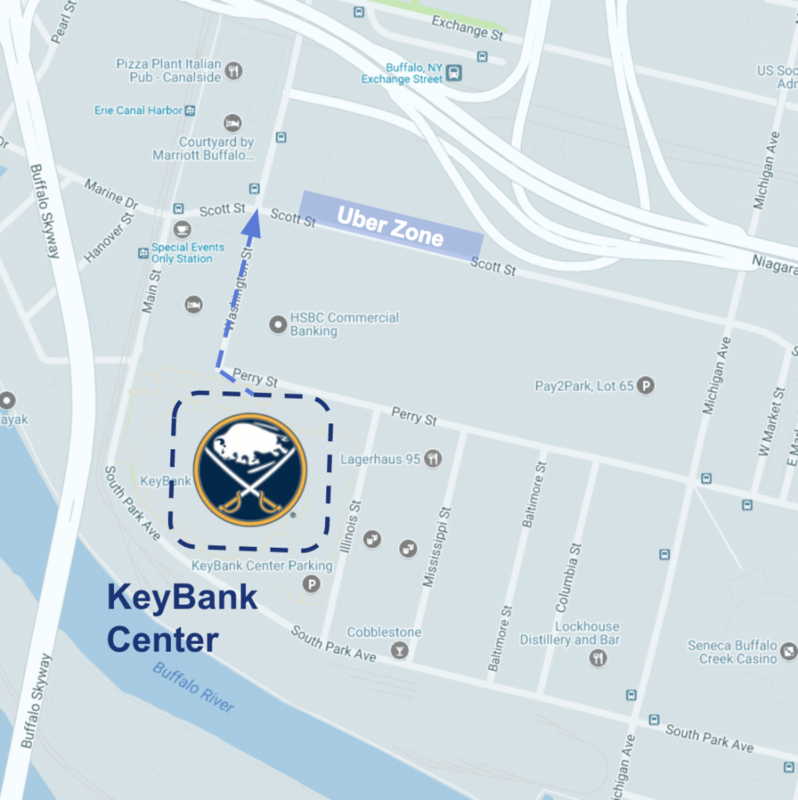 This season, you’ll be able to get to and from KeyBank Center with ease by using the Uber Zone—a designated pickup lane just outside the stadium on Scott St.
Getting to and from the rink is now easier than ever with our new Uber Zone, a designated area just outside the arena where you can get picked up and dropped off when riding with Uber. The Uber Zone at KeyBank Center is located on Scott St, between Washington St and Michigan Ave.
Once you exit KeyBank Center, open the Uber app and swipe to choose your desired vehicle option. Choose uberX or uberXL to get a ride that best suits your needs. With upfront pricing, there are no surprises—you’ll see your fare in the app before you request your ride. When you’re ready to get picked up after the game, head to the Uber Zone, a designated lane on Scott St, between Washington St and Michigan Ave. Your driver will know to meet you at the Uber Zone after the game. As always, be sure to confirm your driver’s name and license plate before you hop in.